Low Vision Services — Spectrum Eye Care, Inc. Many diseases such as macular degeneration, glaucoma, diabetic retinopathy and other congenital vision problems can cause reduced vision making daily life tasks more difficult. Spectrum Eye Care Inc. helps to provide low vision care for our community as a satellite location for The Sight Center of Northwest Ohio. A low vision evaluation is different from a typical eye examination you have received in the past. During this visit the provider will learn about your vision and how your vision has affected your daily life. From there they will demonstrate different devices such as magnifiers, lighting devices, telescopes, and electronic devices that can help you better use the vision you have. Patients are encouraged to think about their visual goals prior to their visit and please bring any glasses, sunglasses, magnifiers or other devices that you may already be using. 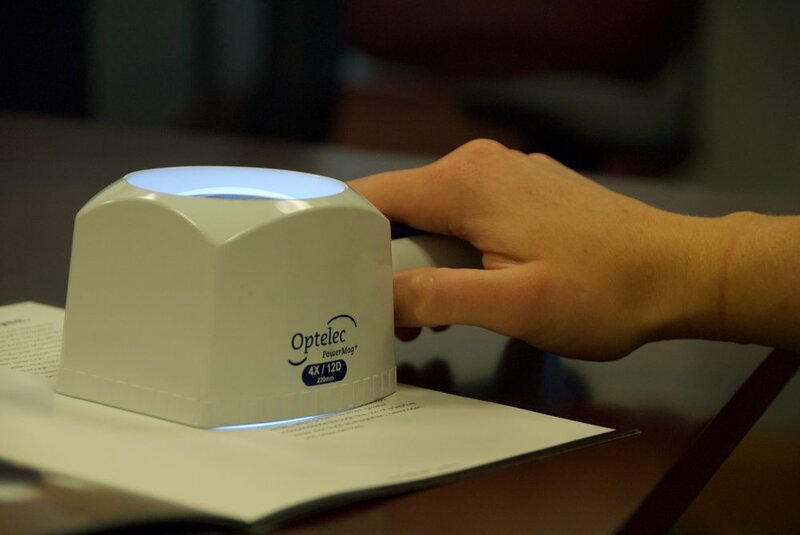 After the appointment you will also have the opportunity to work with a case manager from the Sight Center of Northwest Ohio that can connect you with additional resources to help you reach your visual goals toward independence. See The Sight Center of Northwest Ohio for more information.